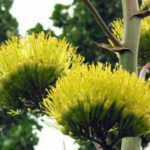 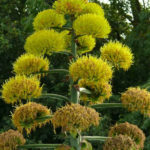 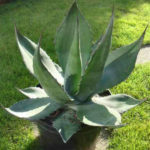 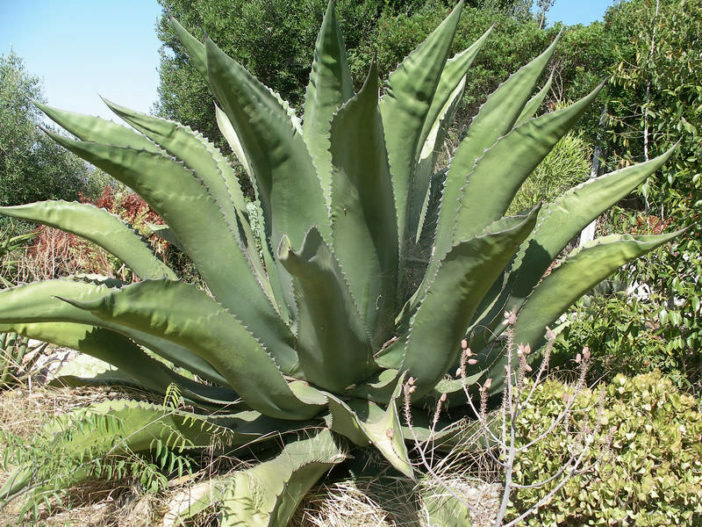 Agave salmiana is an evergreen, succulent plant forming a large rosette of thick, dark green leaves up to 5 feet (1.5 m) long, with a large point at the tip and strong spines on the edges. 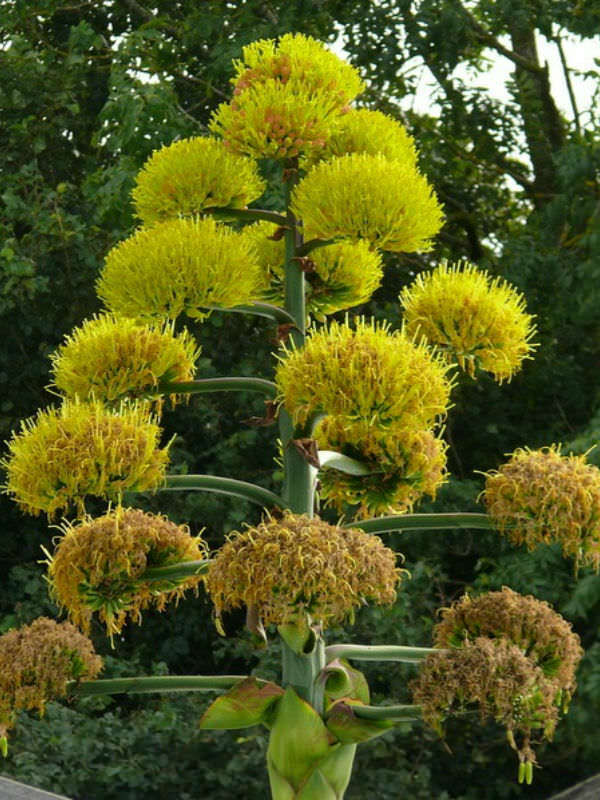 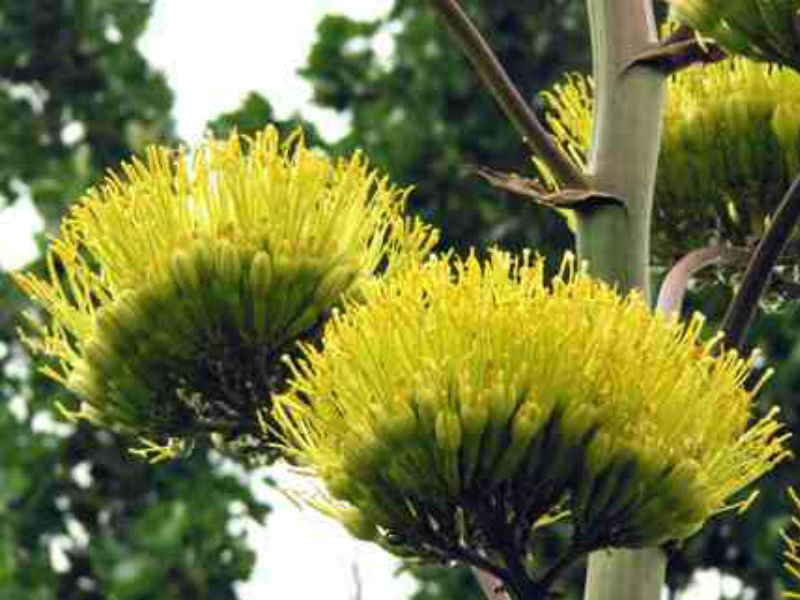 This flowering occurs after 15 to 25 years producing a vertical floral stem, typically up to 13 feet (4 m) long and bearing greenish-yellow flowers. 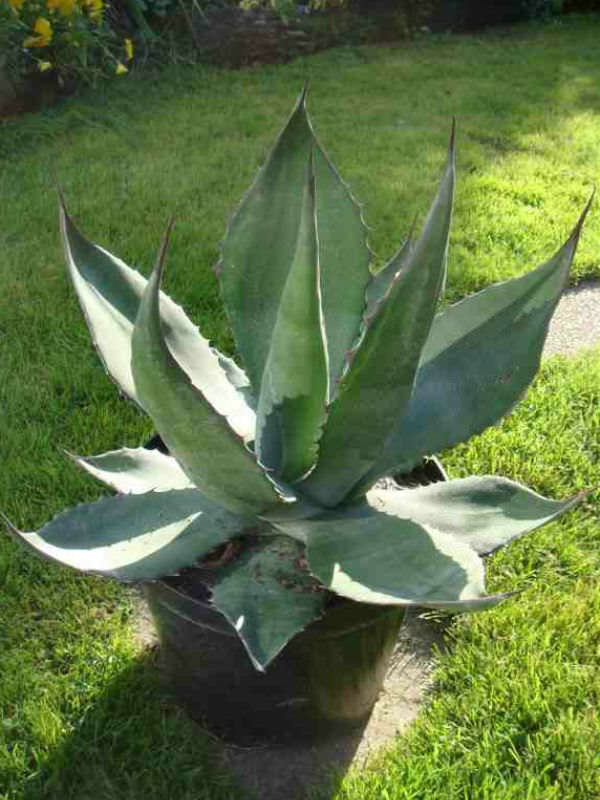 Native to central and southern Mexico.